Empyreal Environs ∙ It’s 3 a.m.
Home » May 2011 Game Comments ∙ May 2011 » It’s 3 a.m. I must have been listening to bad music while bad things went down at Fenway. Actually, Edwin McCain and Eminem also have songs entitled “3 a.m.” and both of them are better than Matchbox Twenty’s effort. The sampling of McCain’s lyrics below and his poignant performance makes me think of Carl Crawford, his struggles, and his seeming turnaround. There were a few souls, warmed by free hot chocolate or coffee, screaming from the Fenway stands. They screamed in elation as Jed Lowrie scored on a wild pitch from rookie closer Jordan Walden to bring the local nine within a run. That fervor increased when Crawford doubled to center and Jacoby Ellsbury drove Crawford in with a soft liner to right to tie the game. Eminem’s song is about a serial killer but in the context of last night’s game it reminds me of the bullpen’s struggles (“Someone save me”), the bats’ inconsistency (“But they don’t pay no mind, goodbye”), and Terry Francona’s efforts to get his squad perform to the level of their talent (“Contemplating my next plot again”). When Eminem is in zombie makeup in this music video it reminds me of Jason Varitek. 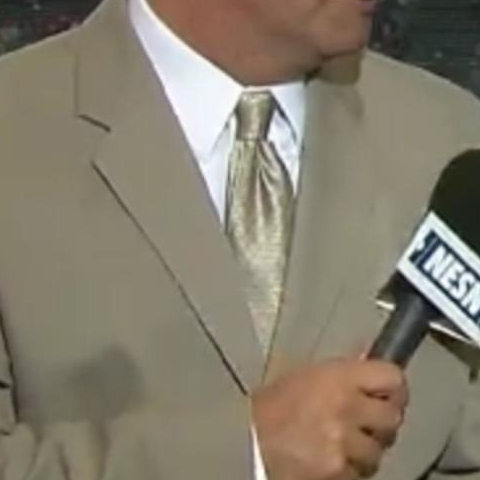 Don Orsillo’s golden tie was evocative of a Pointer sister’s ensemble circa 1984.